This toolkit is for those considering developing, or already delivering support after a suicide, known as postvention support. The steps and processes in the guidance have been drawn from the practices of existing suicide postvention support services in England, with input from organisations delivering support services and from people bereaved or affected by suicide. Some of these services offer people support and guidance to navigate the weeks and months following a death by suicide. Others focus on one to one therapeutic support. There is no standard approach to delivering support services for people bereaved by suicide. An important first step will be to understand the needs of your local community. The suggestions provided can be used as a guide to help you develop a service that is best suited to local needs. 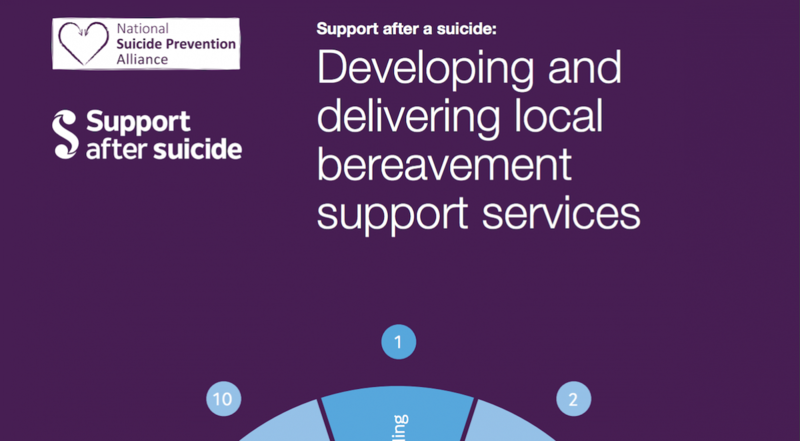 Here you’ll find an overview of the ten stages of developing, delivering and evaluating a postvention support service, and a suggested pathway of support for people bereaved by suicide.